Knowledgeable Counsel. Sound Guidance. Effective Advocacy. Celebrating Over 20 Years in Practice. At the Law Office of Robin Rucker Gaillard, LLC, our Prince George's County family lawyer helps clients resolve their legal problems, and to define and reach specific goals. We listen carefully to our clients; respond promptly to their needs; and keep them well-informed about their case from start to finish. In delivering legal services, it is always our pleasure to treat our clients with courtesy, professionalism, respect, and compassion. Our firm is proud to offer clients mediation and litigation services for the full gamut of family law, estates and trusts, and personal injury. It is always our goal to optimize results in each case so we put our proficiency with persuasive legal reasoning and writing and inspired oral advocacy to work for you at every phase of your case. We also protect your interests and give your concerns the attention and consideration they deserve. Whether you elect mediation, collaboration, or litigation, we are there for your ultimate success. We never give up! When clients are overwhelmed or confused by the maze of legal issues, they turn to our firm as a reliable resource for straightforward answers to their legal questions and workable solutions to their legal problems. Because each case is unique, we take time to educate our clients and to tailor a personalized case plan that helps each client meet a specific need or to resolve a special problem. Our Prince George's County family attorney doesn’t just settle on the easiest or most obvious solution but carefully scrutinizes the facts of each case and pursues the best plan of action. We use a variety of tools, including analytics to help ensure that any plan devised, whether for litigation or settlement purposes, yields the best result for each of our clients. 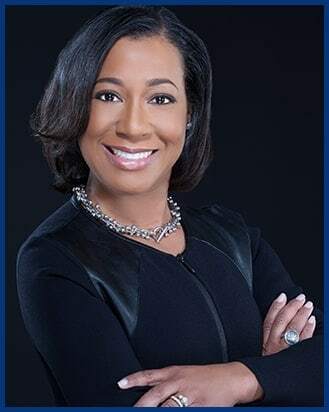 At the Law Office of Robin Rucker Gaillard, LLC, we give sound legal advice and counsel our clients for the full array of family law matters. For some clients, our Largo divorce attorney drafts, interprets, and defends prenuptial agreements, cohabitation agreements, and separation agreements. For clients involved in high-conflict contested separation and divorce matters, including alimony cases, we offer zealous representation as well as creative and strategic solutions for the division of marital property, asset protection, and spousal support. Clients with extensive assets, including business interests, investments, real estate holdings, and retirement holdings, routinely rely on us for their legal needs. Our firm is uniquely poised to help our clients navigate the family law landscape with the best outcome in mind. When faced with custody, visitation, and child support matters, especially cases that are high-conflict, contested, or involve complex fact patterns, clients choose our firm again and again. Let us explain what happens when a custody evaluation or a home study is at issue. Turn to us when you need to determine if a Best Interest Attorney (BIA) is warranted. Readily rely on us when a petition for protective order has been filed. Protective order cases are among the most frequently filed family law cases. Whether you need an initial order for divorce, alimony, custody, visitation, or child support, or modification of an existing order, let the expertise of a knowledgeable and nimble practitioner guide you through your case and advocate for you. With 20 years of litigation and other legal experience and hundreds of clients, Attorney Gaillard can use her expertise to help you. We also provide guidance for estates and trusts matters, especially for estate planning, including wills, power of attorney, trusts, guardianships of the person and property, and more. Probate administration is another critical part of our practice and we assist clients with cases that involve asset valuations and appraisals, judicial sale of real estate, interim and final accountings, and litigation of contested probate matters. You need an experienced Prince George's County family lawyer with the knowledge and expertise of Attorney Gaillard to handle your case so that you can stay focused on the other aspects of your life. To resolve conflicts and optimize outcomes, we use a robust mix of well-drafted legal documents, mediation, and litigation, to strategically and effectively advocate for clients. And when the need arises, our firm provides referrals to professionals with expertise in other disciplines to address issues that may impact your legal matter. At the Law Office of Robin Rucker Gaillard, LLC, we are passionate about the law and committed to the success of our clients. Over the years, clients looking for an attorney to provide legal services for divorce, custody, probate, estate planning, personal injury and more have turned to our firm for help. And we have delivered! We have assisted hundreds of families, resolved thousands of conflicts, and recovered significant amounts in property claims and settlements. We combine experience, preparation, planning, and commitment to maximize results and reject the one-size-fits-all approach to legal representation. We offer consultations and serve clients in the counties of Prince George’s, Montgomery, Anne Arundel, Charles, Calvert, Howard, Frederick Queen Anne’s and Baltimore County. Call today for a consultation with a Largo divorce lawyer so that we can start advocating for you too! Please call us at (301) 363-2933 to schedule your initial consultation.